ジオガイドとクリーンウォーキング IN 大観峰！　Clean Activity with geoguide at Daikanbo! To conserve our geological heritages and maintain trekking routes for visitors, we carry out cleaning such as picking up rubbish and cutting grass and branches. This activity is open to the public, geoguides tell you an amazing geostory while cleaning the site. Be friend with “GEO”! Join us! 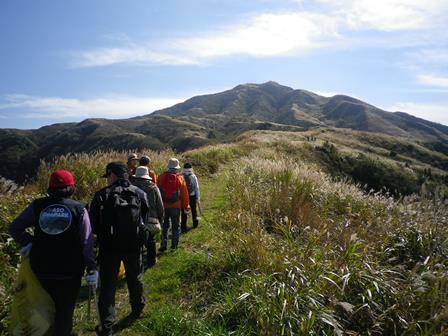 Coming Clean Activity is held on 12 May at Daikanbo Caldera Geosite! Free event but advance booking is necessary!